Explanation: Where should Philae land? As ESA's robotic spacecraft Rosetta circles toward Comet 67P/ Churyumov-Gerasimenko, a decision must eventually be made as to where its mechanical lander should attempt to touch-down. 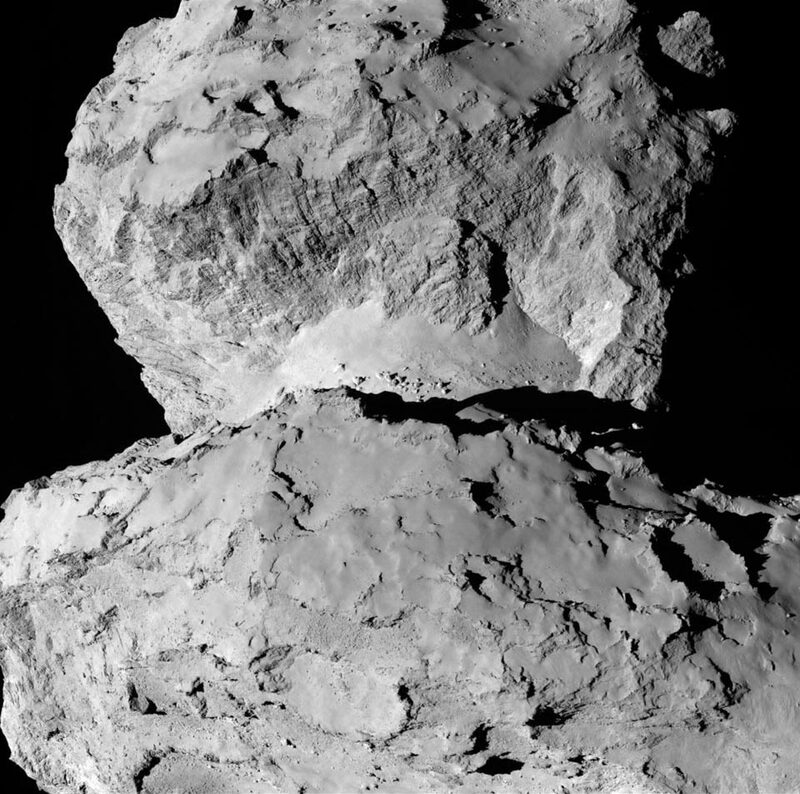 Reaching the comet earlier this month, Rosetta is sending back detailed pictures of the comet's unusual nucleus from which a smooth landing site will be selected. Pictured above, near the image top, the head of the comet's nucleus shows rugged grooves, while near the image bottom, the body shows a patch-work of areas sometimes separated by jagged hills. Some of the patch-work areas apparent on both the head and body seem to have fields of relatively smooth terrain. In the connecting area called the neck, however, visible across the image center, a relatively large swath of light-colored smooth terrain appears, punctuated occasionally by large boulders. Rosetta is scheduled to release Philae toward the dark mountain-sized comet nucleus with an anticipated landing date in November.